Should Students Attend a State University Beyond Their Borders? In this country, 80% of students attend state colleges and universities. It’s not surprising then when students, who want to attend a school outside their state, look to other public universities. I have received three emails lately from parents, whose children hope to attend state universities as nonresidents. I am sharing their stories today and in my next post I’ll weigh in on what parents and students need to know before they consider selecting public universities outside their borders. My daughter is going to an out-of-state college that will cost about $50,000 per year. We told her we would help with the first year, but after that she will be on her own. The school will not consider in-state for one year and she will need to be on her own, no help from mom & dad. How can she attend this school this year without getting help from us? I recently read one of your blog entries concerning test scores and the impact on financial assistance. It caught my eye for two reasons, first and foremost, it referred to Indiana University, the school that my son plans to attend this upcoming fall (2013). The second, and probably more important reason, is that it indicated that financial assistance may be linked to test scores. He has fairly high test scores (33 composite, 36 in science) and, being an out-of-state student (Ohio), every penny can help. However, I’ve not been able to understand how he may qualify for some assistance. Do you have any information that might help me navigate the world of IU to determine what aid, if any, might be available to him? My son applied very late to IU and was not seriously considering IU until he made a visit there about a month ago. IU won him over at that point. Due to that, he didn’t apply for any scholarships or awards. Additionally, he wouldn’t qualify as a low income student. He has received an estimated $5,500 in a Stafford Loan but that’s the extent of it. We have four children, ages ranging from 27 to 15. Our 27 year-old graduated, our 22-year old is finishing this year. Our third child is our most academically hard-working one, and she is on track to graduate next year with a 3.8 GPA, having taken all Honors and AP courses available. She has yet to take the ACT, but an estimated test given her by her high school resulted in a 30. She wants to go to school out of state, at a private or public school in Colorado, Arizona or California rather than stay here at our local university in New Mexico. We support her, as we think she has worked hard, is more serious about college, and would benefit from being in an enhanced academic environment. My husband and I chipped away at our degrees here at our local university, finally graduating from college later in life by using student loans. When I became a nurse, our income increased enough that we no longer qualified for aid for our second son who had maxed out his Stafford eligibility at 23K, so we borrowed PLUS loan money so he could complete his last year. Over the past three years, our income jumped from approximately 70K per year to 140K, which I am assuming greatly impacts how much need based aid our daughter will be eligible for. We pay approximately $1,600 a month in total student loan payments. We still help both boys with certain expenses, and we also have our youngest to think about. Do you have any thoughts or advice for a family such as ours? As I mentioned, in my next post I’ll be weighing in on this trend of students attending public universities beyond their borders. If you have any comments, please share in the box below. 18 Responses to Should Students Attend a State University Beyond Their Borders? One, the University of Kansas, has a KU Excellence award with a $9675 renewable yearly scholarship (they have yet to update their website which still shows $9300. The criteria for this one is a 3.5 GPA and either an ACT or 28 or higher, or SAT of 1250 or higher. The Ohio State University National Buckeye scholarship offers a $12,000 yearly award for those with a 28 or higher on the ACT or a 1260 or higher on the SAT. Thanks for sharing the information about the flagship universities. One reason why University of Colorado’s merit awards are so skimpy is because so many students want to attend school in that state. Boulder just sounds like so much fun to teenagers. Kansas has to try harder because students aren’t dying to live in that state. What they don’t realize is that it’s a beautiful campus that’s only about 40 miles or so from Kansas City. I lived in Lawrence, the home of KU, for three years in the 1980s and it’s a wonderful community. I graduated from Mizzou and it’s located in an awesome college town that’s equi-distance from Kansas City and St. Louis. The school has an awesome journalism school. I was told by one of my old professors a couple of years ago that it’s fairly easy to become an in-state resident. Story #1–This is a terrible, terrible plan. First, it relies on the student being able to prove in-state residency in order to reduce the COA. In some states, this is nigh unto impossible. It is highly likely that the bill for year 2 will be $50,000 as well. Second, even if the student is granted resident status, she will be paying in-state tuition with no help from Mom and Dad? We all know that the school is not going to let her parents off the hook so easily. If this student is under 24 and Mom and Dad have the means to contribute, the school will expect them to do so. If the in-state cost is, say, $25,000/year, how does Mom expect her daughter to pay for that? Story #2–I would assume that there is no aid forthcoming from IU at this point, although I suppose it wouldn’t hurt to call the FA office and ask about merit awards for students with certain grades/scores. If this family doesn’t qualify for financial aid because of a high EFC, I would operate under the assumption that they will be paying (or borrowing to pay) full out-of-state tuition for 4 years of attendance. I think enrolling is a big gamble unless the family can easily absorb that cost. Story #3–I think this family needs a two-pronged approach that (1) identifies out-of-state colleges (likely private) that are generous with merit aid AND good matches for their daughter and (2) identifies one or two in-state public options that are both academic AND financial safeties. She needs an affordable fall-back. Her parents need to have a frank conversation with her about what they can afford to pay, and all out-of-state/private options need to viewed through that lens. My $.02. It is too bad the first two families did not have these frank discussions with their children before this point. I look at other state’s in-state tuition and I am so envious. We are residents of New Jersey and the state schools seem to be in the mid to high 20’s for room/board/tuition. I see SUNY schools that are almost half that. What is a parent to do when their in-state tuition is over $100k for 4 years? Any thoughts? Ah, the very question we are in with our daughter. But it’s a bit more complicated than just looking at which is cheaper. For what she wants to study, the in state provider is a lesser school than the three or four out of state choices she is looking at. We’ve visited two out of state schools so far. The first one is a perfect fit, both academically, and in terms of size. It has the firepower of a major research university, but in a medium student body and small town. Classes in her major are taught by professors in class of 8 – 15 students. 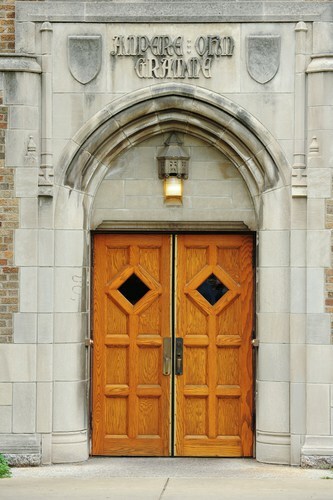 In contrast the in-state school is of similar size, but lacks the academic firepower. Academic rigor or cost savings? That is the question. Paula is correct regarding the WUE scholarship. I was looking at the award rather than the tuition. However, Arizona State may still may be worth considering, with the provisions she mentions. Here’s the link to the AZ State scholarship estimator for those interested in seeing what may be available to them. I’d take a good look at Arizona for Case 3. Arizona State has Barrett Honors College, a terrific small liberal arts experience, and almost all students have merit aid awarded. (I’ve heard that at the very most, honors students pay in-state tuition there.) University of Arizona has also given merit money to teens from our high school, or so the rumor mills says, and they have a four-year guarantee as long as the student doesn’t switch majors at the last second, etc. Either of these would give the strong New Mexico student what she wants at a price the family can live with. Colorado College would be a small school option that would provide some merit aid, if she can’t qualify for need-based aid. If she’d consider Washington or Oregon, she’d find (Colleges that Change Lives) schools like University of Puget Sound and Willamette very welcoming with great aid on both fronts. Tell all of them to save their money and use it for their home state tuition and books. We have a lot of students from California who look to Western Undergraduate Exchange (http://wiche.edu/wue) to go out of state. Unfortunately, for Californians, most schools like Oregon, etc., don’t let in California to their large universities, and make parents pay out of state tuition at these large schools. It’s a waste of precious funds, and unnecessary loans. I’d recommend that in Story (1) they confirm that students get in-state tuition granted when their parents claim them on their tax returns, and the parents have out-of-state residency, then look to the quality of the university, vs in-state private college. In (2) above, I am a Buckeye fan, so I say stay there! Indiana is no better than OSU, and Ohio has some great private schools, again, which likely will cost less with merit aid. If he plans to attend SOME university this fall, his FAFSA should have been in the financial aid office for every university he planned to attend. So, apples to apples, he should know what aid he is getting by now. In (3), above, look at the Western Undergraduate Exchange if they are juniors in high school. The other option is to stay local, save the money on community college, then transfer. Those two years of savings can then be used for exchange member universities or non-exchange universities(at a high price). If the grades are good, they might consider applying to schools which will look at the family income and can give merit money. The family has limited income, and should save for themselves. Just now, that they are turning the financial corner. It would be a hefty cost burden on the family – unless they have some sock in the closet, loaded with rolls of Benjamin Franklins ($100’s). There is a girl I know that has been accepted to an out of state state school and they offered her a scholarship for one year of in state tuition, room and board, as well as fees. She has called the school to find out how to change her status from out of state to an in state. They told her she has to BUY a place in her name only and once she has lived there for 12 consecutive months, then her status will change to in state. I’m sure every state school has different rules regarding residency. So in this case, this definitely works. However, I don’t agree with paying out of state (anything above in state to full price) while all the other students are only paying in state. Obviously, that is a huge rip off! Instead, I would search for private schools that are equivalent in costs. That is a better value. +Unless the school has a sizable global alumni base, you’re buying into the job market of the state you move to. That’s fine, for instance, if your plans are to go to a large city (Arizona State, Maryland, Ohio State) or an emerging job market (UT-Austin). However, a state university in a small state such as Maine, New Hampshire, Rhode Island or Vermont fuels a small state economy. +The schools that need out-of-state students the most and do not have the most competitive admissions standards are the ones most likely to discount their out-of-state tuition. In some cases an excellent, and sometimes a very good student, can get a great value. But unless that student comes from Pennsylvania or scored 1350+ on the SAT or 30+ on the ACT, that student is not likely to pay less than if s/he stayed home. + It may not be money, but ability to get into a program. Rutgers, for example, has an extremely competitive pharmacy program and is located in a state with more pharmaceutical firms than any other. A New Jersey college-bound student who cannot get into Rutgers, but still wants to study pharmacy might need to go to the U of Rhode Island or West Virginia University. Unless they want to risk losing a year by trying to transfer to pharmacy as a Rutgers student. I love your blog, as a parent with one headed to college this fall and another the following year, I have been doing a lot of research on college choice and costs and your blog is probably the most accurate, honest info out there! Wendy is correct that the only way going to an out of state college makes sense is if there are substanital merit awards available or reciprocity agreements. Just an FYI on Illinois, the state actually does have reciprocity agreements with a number of out of state schools through the Midwest Higher Education Compact (google it). 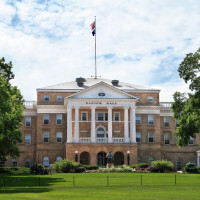 Unfortunately some of the biggest and most desirable out of state universities aren’t a part of it (UW Madison being one of the ones NOT joining in). My graduating senior is getting a nice merit discount at Iowa State for Illinois residents that makes the tuition essentially the same as University of Illinois in-state! Sadly University of Illinois gives out little to no pure merit aid, so we know of several others headed to U Minnesota for lower tuition than in-state Illinois. Crazy that tuition in some states is so high that kids have to leave the state! The student in story number 1 is headed for trouble. Unless she is very low income or has stellar grades she won’t get much merit or financial aid. In addition she won’t qualify for enough loans to finance her education without her parents co-signing and getting into huge debt. Dwight in story number 2 might want to take a year out and reapply next year to qualify for scholarships at Indiana U. I believe that as long as he doesn’t attend college in the gap year he should still be eligible for freshman scholarships. It would definitely be advisable to call Indiana to check on this however. Student number 3 is in a better position. She should look at the WUE program and see if the subject she wants to study is offered in the universities located in the states she wants to go to. For example, with the GPA and ACT stated, Arizona State would offer her tuition of $4,354 if she studied a subject offered under WUE. #3 may include a specific GPA overall or in the core subjects, minimum test scores, a particular major, etc. WUE is a terrific deal but you need to do your homework to know what the requirements and discounts are. Some schools automatically consider all residents of member states for the discount when they apply for admission, while other schools require that you fill out a separate WUE application in addition to the admission application to be considered. WUE stands for Western Undergraduate Exchange. It’s an agreement among 15 western states to provide discounted tuition at specific state universities to students who are residents of a member state. If you live in the western US, it’s an affordable way to go out of state for college. As one of your longer-term readers, there’s one thing that I learned well above all the other advice: Discourage my son from going deeply in debt, or expecting me to, for a college that we can’t afford. There are too many college options out there to make a big blunder like this, and many ways of making college more affordable with a little research. Each of these family scenarios is different, but it’s clear that they all involve students who “want” a certain college or want to go to college in a certain state, and parents who want them to have it, in spite of the obvious financial hardships it will cause. It’s like house-hunting advice, which says to not fall in love with any particular house, or get in over your head by letting emotions overwhelm financial common sense. So many parents fail at this because they think their hard-working kids deserve the best. Of course! We all think this way. But I fought that urge. 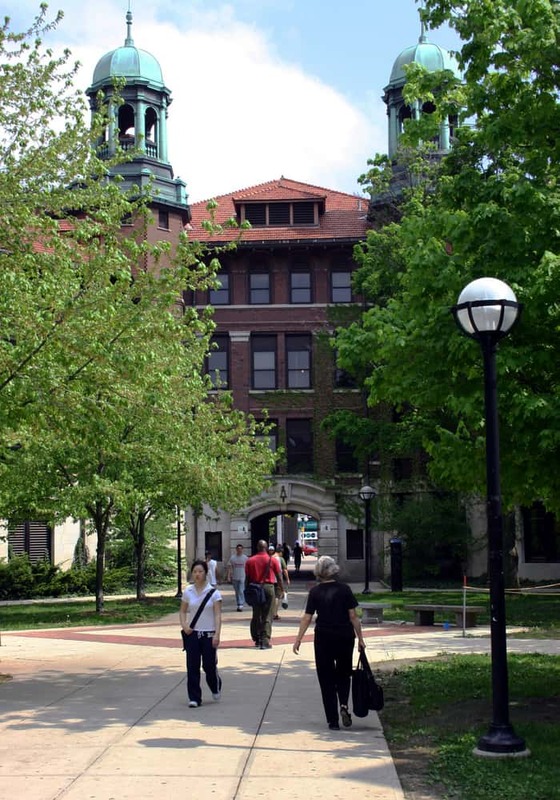 How can any college be “the best” if it leaves me or my child deeply in debt? I think it was harder for me to accept this than it was for my son. It’s not the end of the world to choose the more affordable path and make the best of it. It’s smart. I understand the appeal of out-of-state state universities for kids who like the big school atmosphere, but I feel like these people may be way overpaying for a college education. The state university system was designed to provide an affordable way for in-state students to get a great education. Of course many of the big flagship universities have gained such a great reputation that kids from other states are also attracted to them. Parents need to realize that for a child who is not a state resident, these schools can be really expensive and usually do not offer large merit scholarships. We often hear that a good student can attend a private college for less than it would cost to attend a state school, and that’s for in-state tuition. With these large prestigious state schools, there is not going to be a lot of free scholarship or grant money. Parents should look into reciprocity agreements between states. Maybe their state has agreements with a few surrounding states. Then a student from out of state can attend for less than it would cost for students from states without reciprocity agreements. The only other way I am aware of for out-of-state students to get a significant tuition reduction is if one of the parents is a legacy. Also, if parents are expecting that after one year of living on campus, the student will be declared a state resident, that may not be the case. I am not sure how widespread this is, but some states continue to call the student a non-resident if he or she is only living in the state for educational purposes. 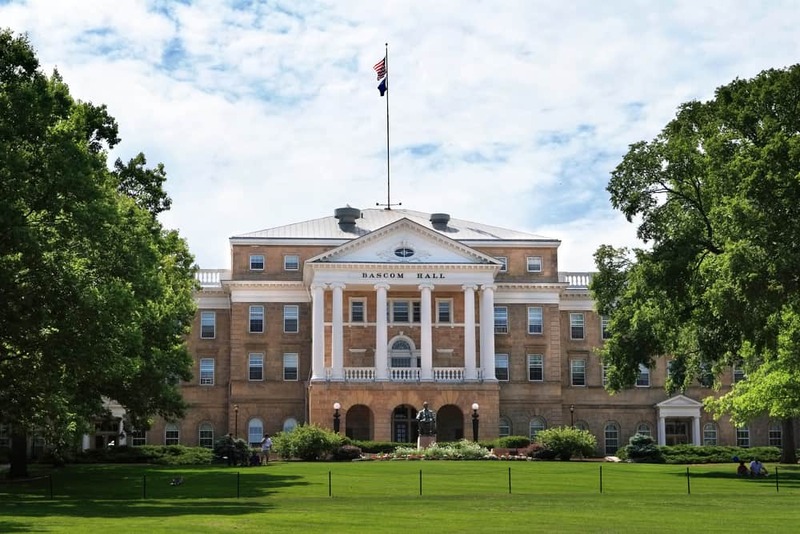 Providing an example, it would cost my daughter, who is an Illinois resident, $41,094 per year to attend the University of Wisconsin – Madison. Illinois has no reciprocity agreement with Wisconsin, or anyone else, because they prefer to encourage their students to stay in state. It would cost a Wisconsin student $24,204, and a Minnesota student $27,803 (they have reciprocity). Even throwing in a few thousand dollars in potential scholarships, I can send my daughter to a private school with great merit scholarships for around the same as it would cost to attend Madison if we were in-state and know that she will still get a great education and be in a much more personalized atmosphere.